Donut HazeThe donuts are out to get you! 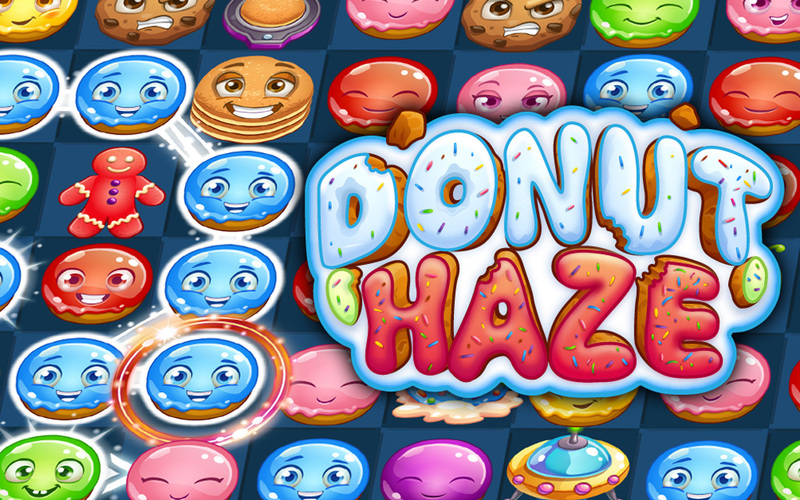 Help the Happy and Delicious Donuts save their world from the polluting, evil Ovens. Use your Match-3 skills to pop, burst and explode any obstacles in your way. The evil Ovens think the tiny Donuts have no chance against them. Little do they know that with you on their side, it is the Ovens who stand no chance. Take up the fight and help the Donuts make their world sweet and peaceful once more. Will you dip into the Donut world today?